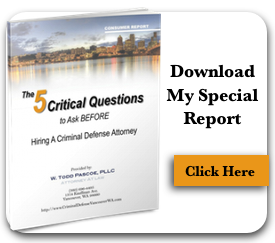 You are here: Home / Criminal Defense / Medical “Molly”? 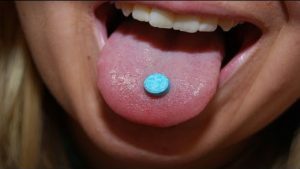 The U.S. Food and Drug Administration (FDA) this week approved the 3rd and final trial stage to determine whether or not the FDA will approve MDMA (the primary ingredient in Ecstasy or “Molly”) to treat Post-Traumatic Stress Disorder (PTSD). Many veterans and not a few of my clients are diagnosed with PTSD as a result of traumatic experiences they have suffered. I’ve defended clients who’ve been caught possessing or dealing MDMA so I found this news story both fascinating and alarming. Currently the penalty in Washington for possessing MDMA, a class C felony, is zero to six months in jail (but can be higher if the accused has more than two previous felony convictions) According to James Mathey, PA-C Heart & Vascular Peace Health Southwest, “methamphetamine abuse is highly associated with cardiomyopathy and congestive heart failure.” MDMA is 3,4-methlenedoxymethamphetamine, however Mathey notes “the dosing and frequency of meth usage necessary to cause heart damage has never been thoroughly studied.” Sadly he “daily” treats people of all ages in Vancouver who’ve inflicted this damage through meth use. Nevertheless, as medical marijuana, has now transitioned from illegal to “medical marijuana” to legal recreational marijuana in Washington, Molly is now poised to become “medical MDMA” as early as 2021. Perhaps it will be as one former client told me over lunch last week: it may be legal but you’re not going to get a job as an electrician with a dirty UA.